President Donald Trump on Tuesday called for the release of an American pastor jailed in Turkey for allegedly aiding terrorist groups. Trump's comments come hours after a Turkish court ruled that Andrew Brunson, 50, must remain in prison as his trial proceeds. Brunson, who has lived in Turkey for 23 years, is accused of aiding the the Kurdistan Workers' Party, a militant separatist group. "Pastor Andrew Brunson, a fine gentleman and Christian leader in the United States, is on trial and being persecuted in Turkey for no reason," Trump tweeted. "They call him a Spy, but I am more a Spy than he is. Hopefully he will be allowed to come home to his beautiful family where he belongs!" U.S. officials have been working to release Brunson since he was arrested in 2016, following a failed coup against Turkish President Recep Tayyip Erdogan, resulting in more than 50,000 arrests. 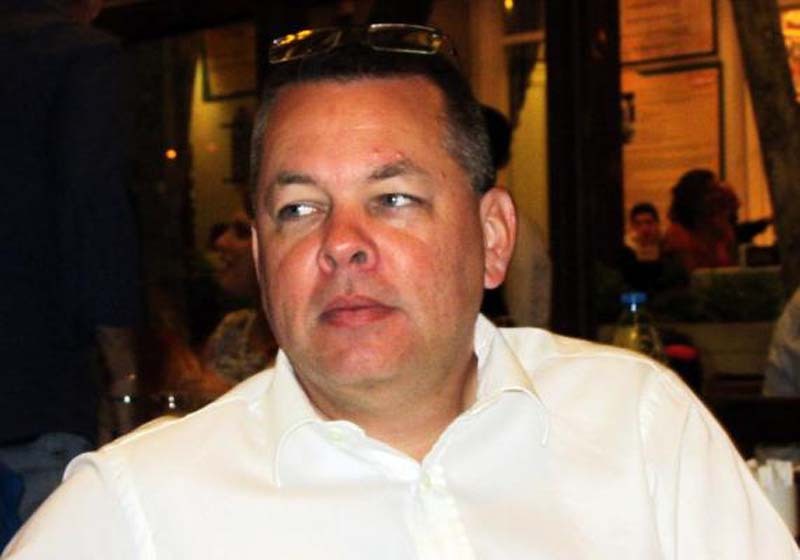 "People are deeply concerned and focused and interested in this case," said former senator and governor of Kansas, Sam Brownback, who was present in Turkey to attend Brunson's hearing, The New York Times reported. "The administration and the United States cares deeply about our relationship with Turkey. This is a valuable ally of ours and we deeply value our relationship. We want to see this resolved." Brunson's attorney, Cem Halavurt, said the charges against Brunson are "unfounded" and based on secret informants. "I've never done anything against Turkey," Brunson said in court. "I love Turkey. I've been praying for Turkey for 25 years. I want truth to come out." He added: "I talk about Jesus but it is not to support the [Kurdistan Workers' Party]. It is not to convert them to Christianity and be against Turkey. I say the same to Turks. I am not interested in politics. I'm not in favor of separation. I believe in Turkey's integrity. What else can I say?"